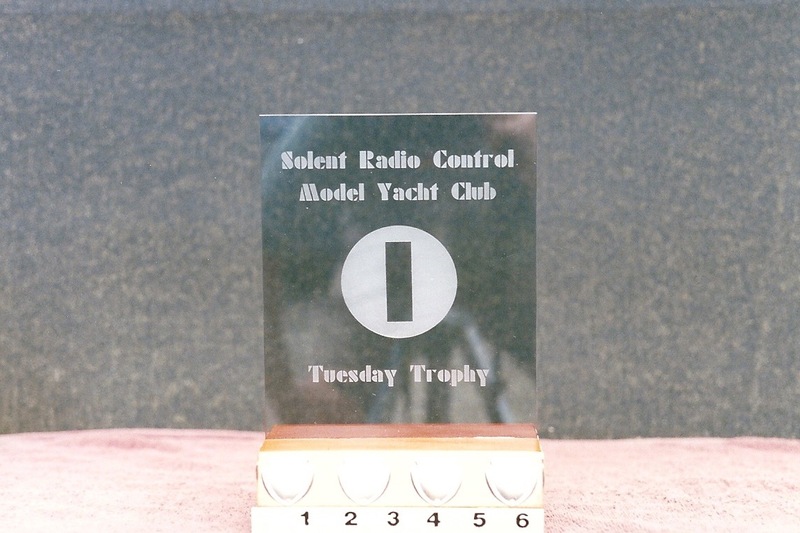 This unusual glass trophy was presented in 1993 by the club President Mr Eric Shaw as an outright gift with no conditions attached. The trophy is engraved with the One Metre Class insignia thus limiting its use to that class. 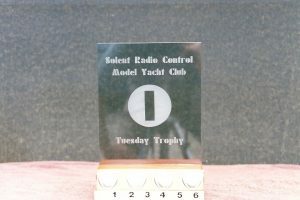 It was decided to use the trophy for an annual one day event, however it is now presented to the winner of the IOM Winter Series. 2002 M.Houlton 2003 I.Copsey 2004 ? 2005 ? 2006 Martin Houlton 2007 ?